Google has a new, flatter logo - what do you think? Not long after announcing the announcement of its new parent company, Alphabet, Google is revealing a brand new logo. It's not the first time the company has tweaked its look, but it's certainly one of the more dramatic changes - the biggest since 1999, in fact. The new design is a bit more fun, with a softer, flatter look that does away with the serifs. Google is also replacing the little blue "g" icon on your browser tabs and replacing it with the new four-colour "G". "We think we've taken the best of Google (simple, uncluttered, colorful, friendly), and recast it not just for the Google of today, but for the Google of the future," reads Google's blog post. 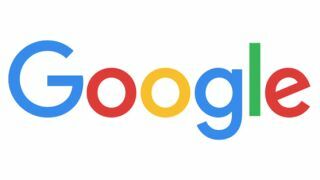 The new logo is already showing up on Google's web search engine, and will soon be adorning all of its products.